It is extremely difficult to treat eating disorders such as anorexia and bulimia, because sufferers get a boost of euphoria when they drop to dangerously low weights or gain weight. Stigma and blame surround these disorders are some other hurdles to overcome during treatment course. Quite interestingly, eating disorders have enjoyed some good attention in media; in fact, you can find several movies about eating disorders seeing things from different perspectives. Keep reading to find out more about some of the best movies that deserve watching. The movie shares story of a weight-obsessed, narcissistic mother and her two daughters who have a hard time keeping up with their mother's rules. Christina Hendricks has made things look even impressive. Through her acting, she sends a clear message that eating problems can affect people of all sizes and shapes, and it is just not possible for others to judge the degree of pain those sufferers experience. It's a must-watch movie for everyone! Yes, it is a B-grade eating disorder movie, but one of the most famous in its genre. Tracey Gold plays the lead role in this movie, and what makes things even more interesting is that she suffered from anorexia in real life as well. There are emotional manipulations in the movie, but it definitely manages to grab viewers' attention. It shares the story of Nancy who after graduating from high school feels the only way to cope with her distress is to diet drastically and shrink to child-like proportions. It is a perfect movie to experience anorexia in its obsessive-compulsive ugliness. This TV movie explains how important it is in elite gymnastics for athletes to have a perfect body. It tells the story of a teen Olympic, Andie Bradley who is told by her coach that she badly needs to lose weight. You will experience cause and effect scenario with a touch of eating disorder tropes in this perfect movie. It also contains some impressive acrobatic sequences to keep viewers glued to their seats. It is among those movies about eating disorders that focus on bulimia instead of anorexia. The movie is about a child psychologist Nina Moss and her daughter Beth, played by Alison Lohman, who is a slim, upbeat overachiever. However, Nina feels something is just not right with Beth, and she is right because Beth becomes bulimic, purging, and binging, which things start to get out of hand. It is an awesome movie about the mother-daughter relationship, with Alison Lohman doing a great job in her role. The movie is about a talented ballerina Alyssa who is asked to lose weight to stay in the game. But, soon things go out of hand and anorexia takes over her life. It is one impressive movie about unrealistic beauty standards in different professions and the way people set unhealthy benchmark. The movie is about a young girl Casey Powell who suffers from anorexia because of her troubled home life and many problems at school. It perfectly explains how dieting can lead to near disaster in real lives. Jason Leigh is in the main lead and has done justice to his role. 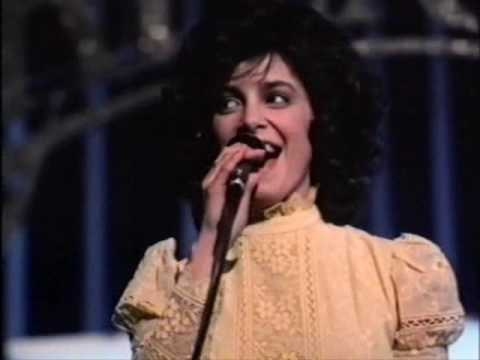 This biographic drama was originally made for TV and highlights the rise and fall of Karen Carpenter who was famous singer before being diagnosed with bulimia and anorexia. While the movie shares some scenes about her success with popular music group, it usually relies more on presenting a cautionary look at Karen's struggle with an eating disorder. 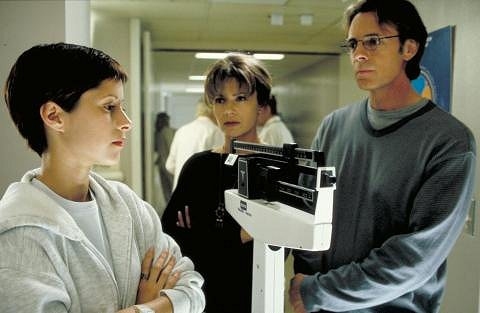 It is yet another impressive entry in the list of movies about eating disorders. The movie shows how two friends Jennifer and Lexi try to lose weight by vomiting it up. Lexi's mom takes her to a bulimic center where she recovers but later tells her mom that Jennifer may still have the problem. Lexi tries to explain everything to Jennifer who becomes angry at her. While running away from Lexi, she meets an accident, which makes Lexi depressed once again. You will really appreciate the perspective the movie shares on eating disorders and relationships. It was a groundbreaking movie about the eating disorders. In 1986, not many people were aware of bulimia, but this movie really helped raise awareness about it. Meredith Baxter played the lead role. The movie shows how a seemingly successful and happy woman can be a sufferer of bulimia. It is more of a documentary by filmmaker Lauren Greenfield who shows the physical and mental effects of anorexia on the lives of four anorexic women. It presents a realistic portrayal of the problem and shows how four women between 15 and 30 years of age struggle to get over their illness at a Florida residential treatment center. You can rate it one of the best movies about eating disorders, especially if you really want to know how things work when someone undergoes treatment for these disorders.